3.Made of high quality material. 5.To see other accessories in our range, simply search 'FastSnail' in the search bar above. 1. FastSnail provide 12-Month Worry-Free Warranty and Unconditional 45-Day Refund & Free Lifetime Technical Support. 2. FastSnail Tech products have been well tested before delivery, but we cannot 100% guarantee the items when shipping to you. Any problem please feel free to contact us through Amazon Email System and we will do our best to serve you. FASTSNAIL UNIQUE DESIGN - Our grips are matte. Made of high quality materials, with premium rubber non-slip matte surface for excellent grip. Scratch free, attractive appearance, touch is the best. COMFORTABLE TO HOLD - Perfect for those extended, high-stress gaming sessions. Grab control and elevate your game with the FastSnail Grip Kit. 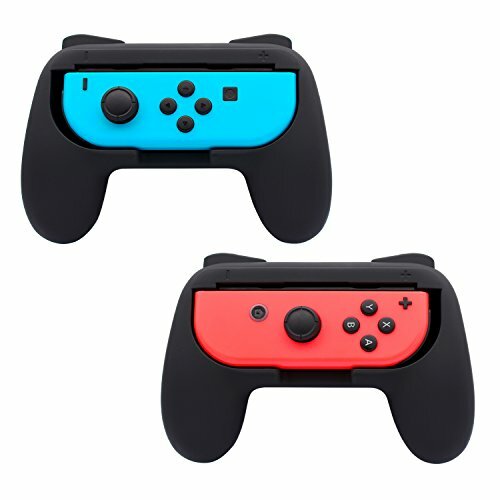 PROTECTION - Since it is a special cover, it can protect your Joy-Con firmly from everyday wear and tear, scratches and dirt. If you have any questions about this product by FASTSNAIL, contact us by completing and submitting the form below. If you are looking for a specif part number, please include it with your message.